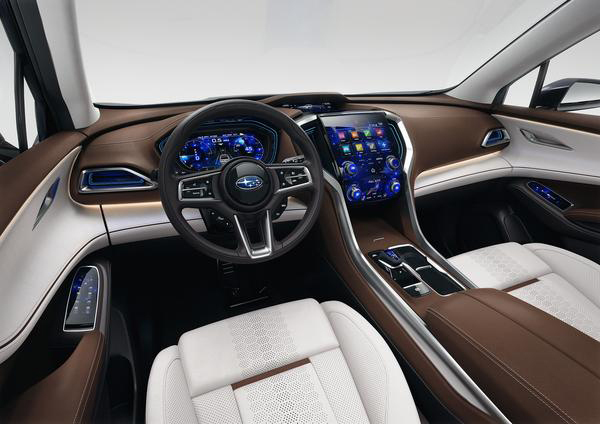 Media Information Subaru Of America, Inc.
NEW YORK, Apr 12, 2017 - Subaru of America, Inc., which this month posted its 64th consecutive month of recordbreaking sales, today made the world debut of the Subaru Ascent SUV Concept. The styling concept also confirms the name Ascent for the upcoming Subaru 3-row SUV. Both the design concept and the production Ascent will feature an all-new turbocharged direct injection boxer engine. The exterior design of the concept follows Subaru's "Dynamic x Solid" theme with powerful fender flares representing Subaru's all-wheel drive system and a large, bluff grille denoting a true SUV look. 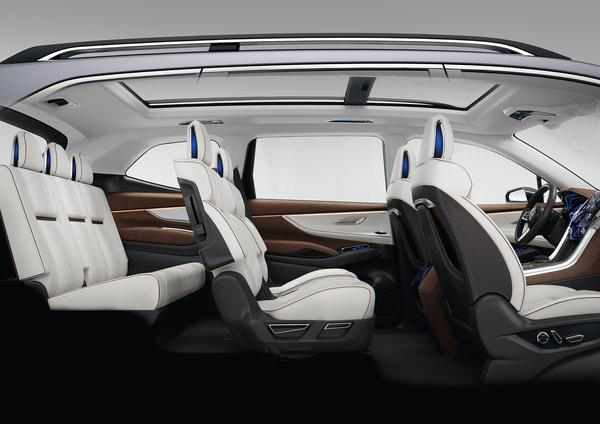 The interior of the concept features a flowing dashboard design and a 7-passenger configuration with center captain's chairs. Subaru of America, Inc. is a wholly owned subsidiary of Subaru Corporation of Japan. Headquartered at a zero-landfill office in Cherry Hill, N.J., the company markets and distributes Subaru vehicles, parts and accessories through a network of more than 620 retailers across the United States. All Subaru products are manufactured in zero-landfill production plants and Subaru of Indiana Automotive Inc. is the only U.S. automobile production plant to be designated a backyard wildlife habitat by the National Wildlife Federation. For additional information, visit media.subaru.com .